Some of the questions that I get asked most frequently are about paper quilling strips. Is it worth the extra expense to buy pre-cut strips? Can’t I just cut my own? Can I use a paper shredder to cut strips? What type/weight of paper can I use to cut my own strips? Please note that all quillers have their own opinions about this matter. This post is MY opinion and My preferences. When I first started quilling I was ten years old. I got a book about quilling at the library. I did not have any quilling paper, tools, or anything. I used a toothpick as a tool and I cut my own strips. At first I would use lined paper and just cut those strips and use them. If I wanted them colored, I would color the paper with marker or paints and then cut the strips out. After a couple years of that I moved on to colored papers. I would mark the measurements with a ruler on each side, draw the lines, and cut the paper strips. After a couple more years I started using a razor blade and ruler to cut the strips. This was my method for the next several years. So I know all about cutting your own paper strips! When I went to college and got a job, I finally had some pocket money. I was so excited to purchase some pre-cut quilling paper. It was a joy to use! No cutting, no rough edges, no uneven strips. I could focus on quilling and not on cutting paper. I haven’t looked back since. Another benefit of buying pre-cut quilling paper is that you can purchase acid-free paper. You can buy some cheaper quilling paper strips that aren’t labeled and probably aren’t acid free. But papers from the bigger companies (Quilled Creations, Lake City Craft, and many more) are all labeled as acid free. This means that you don’t have to worry about the papers turning yellow over time, discoloring, getting spotty, etc. This is not so important if you are making things like bookmarks, gift tags, etc. that won’t be used forever. But if you are making frames and other items that you want to stick around for a long time, you want to make sure they stay looking nice! If you are cutting your own paper, look for paper that is labeled acid free if that is important to you. Some are, some aren’t. The weight of a paper also makes a difference. Thinner and thicker papers curl differently and hold their curls differently. I do not know the weight of all quilling papers, but papers from Lake City Craft are between 60 and 80 pounds text weight, which is equivalent to 90-120gsm. Papers here in Malaysia are labeled in gsm. Normal printer paper that I see here in Malaysia is usually labeled around 75-80g, so it is thinner than usual quilling paper. 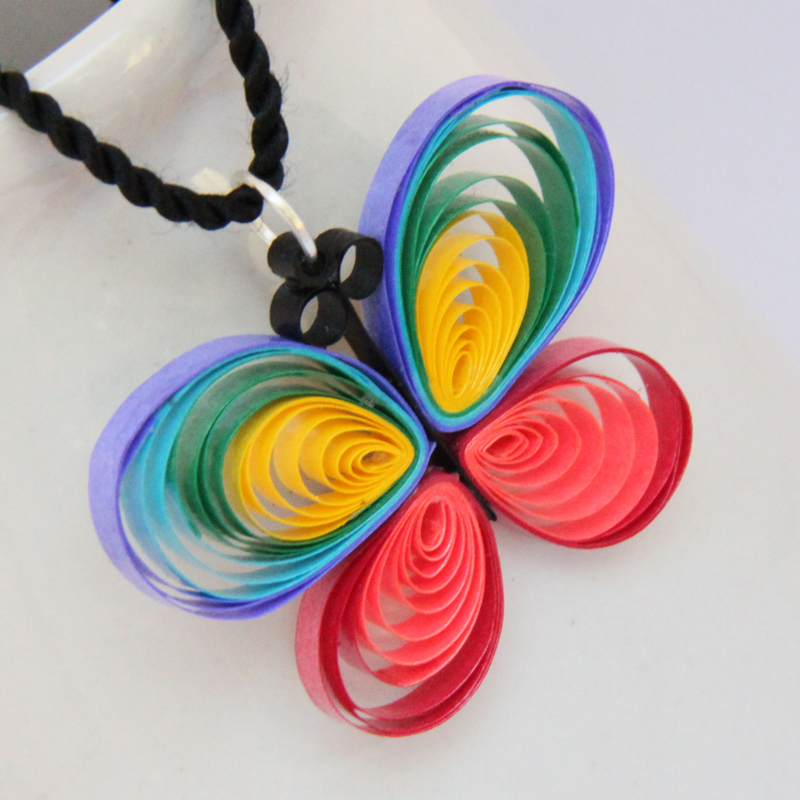 If you are going to cut your own quilling paper and you want it to have a smooth curl, look for heavier paper instead of plain printer paper. Yes, you can cut your own paper strips with a paper shredder. Just be aware that, depending on your shredder type/model, the edges of your strips may be more rough than smooth. And sometimes the edge strips won’t come out evenly depending on how you put in your paper. You also then have to find a way to store these paper strips so they won’t get all crumpled. You can cut the paper any width that you would like. 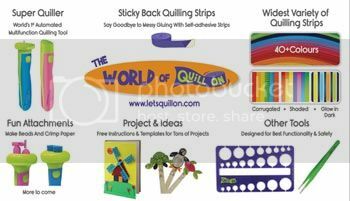 You can usually purchase sheets of paper from quilling companies to cut your own strips from. So you can save some money, but still have the same paper. This post is a work-in progress, I will add to it when I get more questions about the topic or think of other points to add. 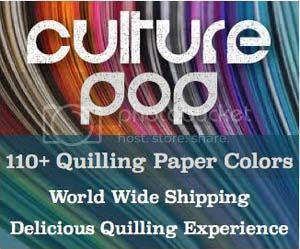 My Choice – My personal choice for paper quilling is to use pre-cut papers. I like the nice smooth edge. I am happy with the color selection. I like being able to easily store my papers, know they are acid free, and have nice long strips. To me, it is definitely worth the extra expense. I don’t have time to shop for paper colors, cut my pieces, etc. I don’t have room to store a paper shredder, and I don’t want rough edges on my papers. But everyone has their own opinions and for some people cutting their own strips is what they like to do. As for me, I will continue to use professionally cut papers and spend more time enjoying what I love to do – paper quilling! A very good info indeed! Hi 🙂 I am not sure what is available in India. You an have a look around at local craft stores and talk to other quilters in India. I believe many do them order from overseas. Hi I liked your answers very informative.like to try this art make cards and gift to friends. Wish me good luck. hi i’m just 15 yrs but ur blog is really helpful & joyful but still i have doubts making our own quilling paper….pls reply……. Hi 🙂 Welcome to the world of quilling! I started quilling when I was 10 years old by cutting my own paper strips with scissors. When I was your age I started using a ruler and a blade to cut them. Just use any paper you have, give it a try! Thank you for ur article. I cut my own paper strips and color it with acrylics. Could u please tell me is it ok to use acrylic paints and how to make them stay long when quilling jewllery? Is it ok to use a coat of transparent nail polish on acrylic paint to last long? I use my vinyl plotter/cutter (also called die cutter) to cut out paper strips. It’s very fast and I don’t have to hand cut which is a huge plus! Also I love being able to use any color I want. I think quilling paper is way too overpriced and I am too impatient to wait for the mail sometimes. Haha. Can we use normal coloured paper or some different texture is used for quill in? You can use normal paper, but check the weight of the paper on the package. Some papers are very thin and won’t work the best for quilling. You can still use them, but the rolls might not spring open as nicely. I am Sri Lankan.I started peper quilling 10 years ago like you.I cut my strip by used sessour and used toothpik as a tool.now I teeing pepear sherder for cut strip.this strip width is 3 mm.but it not nice for big designs like framed art.can you tell me what is the best paper strip width and what is the best paper gsm? is there any special name of the paper for qulling?Besides, I just love this article.